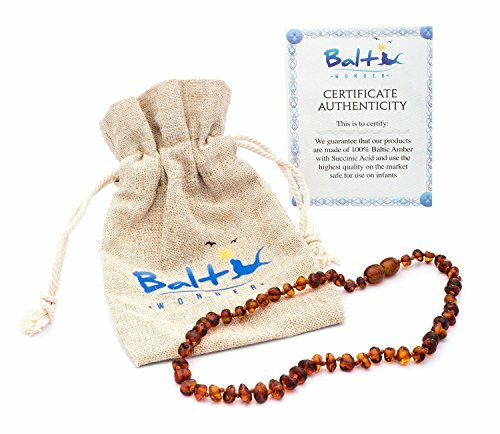 Baltic Amber Teething Necklace For Babies (Unisex) (Cognac) - Anti Flammatory, Drooling & Teething Pain Reduce Properties - Natural Certificated Oval Baltic Jewelry with the Highest Quality Guaranteed by Baltic Wonder at Spoil the Baby. MPN: 1. Hurry! Limited time offer. Offer valid only while supplies last. The Ultimate Amber Teething Necklace Our Amber Teething Necklace is the perfect alternative medicine for babies & toddlers on the teething process. Teething Relief, Drooling & Fussiness Reduce.